- Picket it up at buy.com when it was $55. - My old Targus backpack has been through quite a lot and even has a small hole in it now. With the new macbook pro 13" I figure it was time for a new laptop backpack too. - I did a bit of online research and eventually bought this backpack sight unseen. - It's definitely not the lightest backpack but it isn't that bad for it's size. - It has a ton of pockets. The laptop slot is in the middle and well padded for better protection. The case logic macbook 13" sleeve slides in nicely. - I like how the side pockets are very deep and travel most of the length of the backpack. - There is a nice little pouch in the center near the top to hold your music player. Inside there is a hole to route the headphones into the adjoining pocket and them up from there through the rubber headphone wire slit. - I found it quite a bit more comfortable than my Targus. It has lots of padding around the shoulder straps. - The handle seem very tough and re-enforced. - From the reviews it sounds like it should last too. - No waist belt but I never really liked those and thought those just kind of get in the way. - Inside there is a base piece you can flip down to make the backpack stand upright. So far I really like this backpack, and it's quite the looker too. I'll update this post once I get to try it out more in the field on a vacation. - After picking up my macbook pro 13" I was looking for a good bluetooth mouse. - The ideal mouse would be 5 buttons in the normal position, notched scroll wheel, full size, and laser. I didn't quite find that mouse but the Presenter 8000 comes pretty close. - It's laser and tracks well on a variety of surfaces. - It has 5 buttons but the forward and back are on the opposite sides and are a bit hard to reach which is partly due to its smallish size. - The 4 way scroll wheel with tilt works well but is smooth instead of notched. I prefer notched for gaming but it does have a pretty good amount of friction to it. - It seems to auto shut off but there is also a dedicated power switch on the underside. - It paired just fine with the built in bluetooth on my macbook pro 13" and also my old Dell Inspiron 8600. No need to use the included bluetooth dongle. - Didn't need to install any drivers, and all the buttons worked. Even the volume buttons worked in presenter mode. - It was quite the bargain for $38 shipped from amazon. Highly recommended. It's not perfect but it is now my favorite bluetooth mouse. 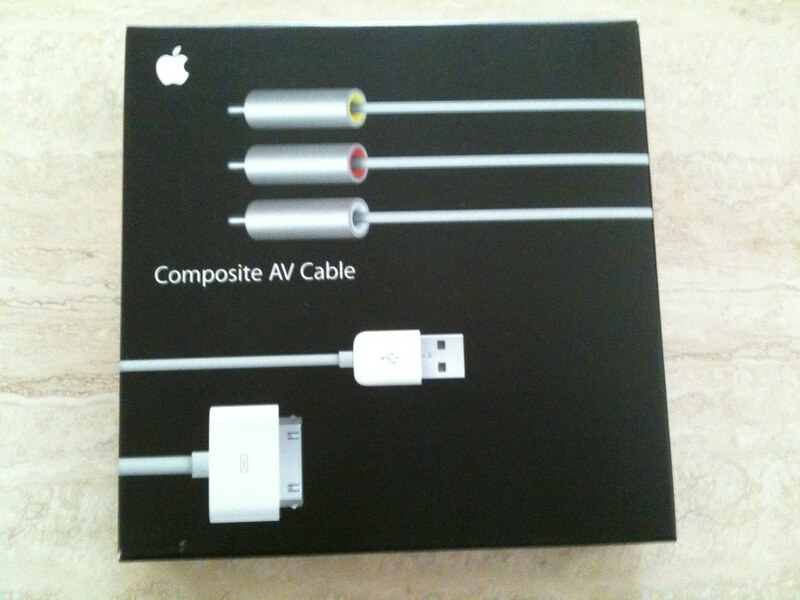 - So after finding out that my cheap $8 composite cables will no longer work with the iPhone 3GS I decided to finally pay the ultimate apple tax and buy the official apple composite cables. My local apple store was out of stock so I had to pay tax and shipping (thanks apple for offering free shipping on orders $50 and higher yet price the cables at $49, FU apple) which came out to around $57. Wow and these aren't even made by monster. - I went with composite so it would be compatible with the most TV's out there. 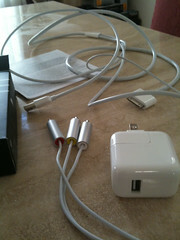 - It does come with a usb charger to keep your phone charged while in use. - Quality is pretty good for composite. The above example of Bolt was encoded using Handbrake and the standard iphone profile displayed on a sharp 52" LCD (52d64u). It still didn't look half bad blown up to that size. I really wanted the cable but man apple sure makes you pay through the nose. 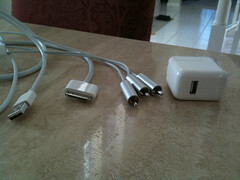 Great cable, horrible price gouging by apple.